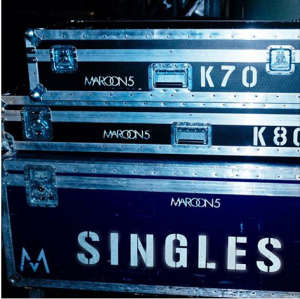 Maroon 5 will soon land on our shores as part of the sold out local leg of their current world tour. And they’re set to leave Aussie audiences with more than just memories, announcing the release of a collection of their biggest hits in ‘Singles’. The 12 track release comprises the band’s chart monsters including ‘Payphone’, ‘This Love’, ‘She Will Be Loved’, ‘One More Night’, ‘Moves Like Jagger’, ‘Makes Me Wonder’, ‘Daylight’ and recent smash ‘Sugar’. It’s out on Friday September 25. The band hits Melbourne’s Rod Laver Arena on September 26, the Brisbane Entertainment Centre on September 28 and Sydney’s Allphones Arena on September 29. There is no point to release this. There is no new songs, singles missing. An iTunes catalogue sale (front screen) with each single / video & album would have gained much more attention & sold a lot more. A packaged physical box set for the releases not sold in retail outlets. This is very disappointing as it offers a Loyal Maroon 5 fan nothing new & newer listeners nothing to want to go into the back catalogue. P!nk did it right. Errr…Very excited about a Singles Collection but doesn’t 12 tracks seem a tad light on it.